We’re not surveyors by trade; we don’t normally travel with distance measuring wheels or clinometers. But we do feel safe making the following claim about Leela Palace, even without the benefit of precision instruments: this place is ginormous. 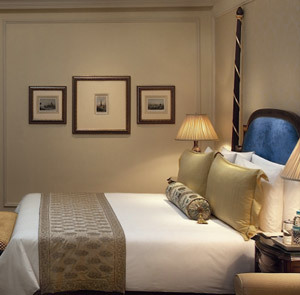 Then again, New Delhi itself is no little village, so a great rectangle of a hotel fits the scene perfectly. It sits like a present, waiting to be unwrapped by those arriving for business or pleasure, minus a bow on top. Within, delights abound. We’ll begin with those of the edible variety, from the Qube, framed in glass, with its mix of local and international dishes, to Megu, a temple devoted to all things Japanese, to the handmade wooden accents and equally crafted biryanis and curries at Jamavar to the first Asian outpost of Le Cirque. But a discriminating hotel guest cannot survive on good food alone. Accommodations more than live up to the challenge of the soaring, multistoried lobby, featuring mirror televisions and significant lighting in all the bathrooms, as well as grand beds and far-ranging views. Also worth noting is the sheer size of the rooms and suites. 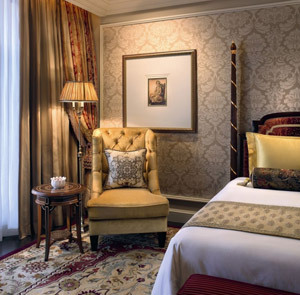 We heard that these are some of the biggest rooms in the city, and we’re in no position to argue. Then again size isn’t everything. Anyone can build big, but only some can provide this generous an admixture of experience and focused attention. 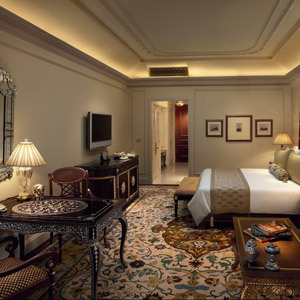 *Rates are quoted on per room per night basis, and are only valid for single and double occupancy. 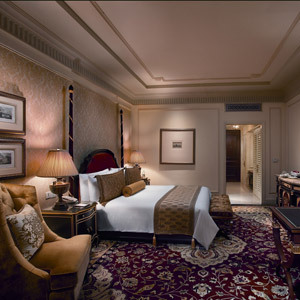 \n*Room rates are subject to 10% Luxury tax on rack/published rate and 7.416% Service tax on applicable rate. Room rates inclusive of breakfast will attract additional tax of 0.625% (D.VAT). \n*Up to two children below 12 years of age can stay in the parent's room at no additional charge should no extra bed / mattress be required. \n*We would not be able to honor any request for a room to be shared by more than two adults and two children below the age of 12 years. \n*Should there be more than two children; a separate room will be allocated at 50% of the parent's applicable room rate. 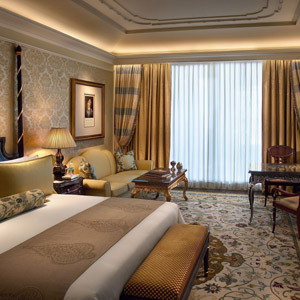 \n*Extra bed cannot be placed in Grande Deluxe Rooms, Twin *Royal Premiere rooms and Royal Club Rooms. 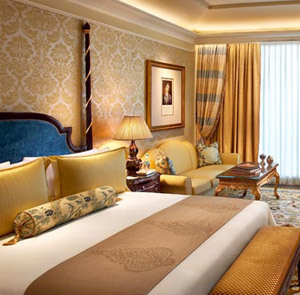 An extra bed can only be placed in a Royal Premiere Room or a Suite. \n*Maximum occupancy per room is two adults. \n*Room availability and rate may be subject to change if amendments are made to a confirmed booking. \n*Hotel check-in time is 2 pm and check-out time is noon, any early check-in or late check-out will be subject to availability and will be charged accordingly. 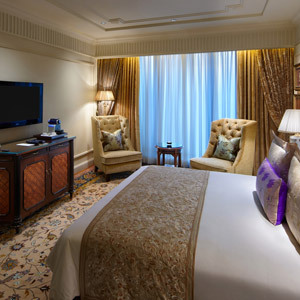 \n*The hotel reserves the right to levy an additional charge of 50% of the room rate paid for check-outs between 12 noon to 6 pm or check-in between 8 am to 12 noon. \n*The hotel reserves the right to levy an additional charge of 100% of the room rate paid for check-outs after 6 pm or check-in before 8 am. \n*In case of any dispute, the hotel reserves the right to make final decision.